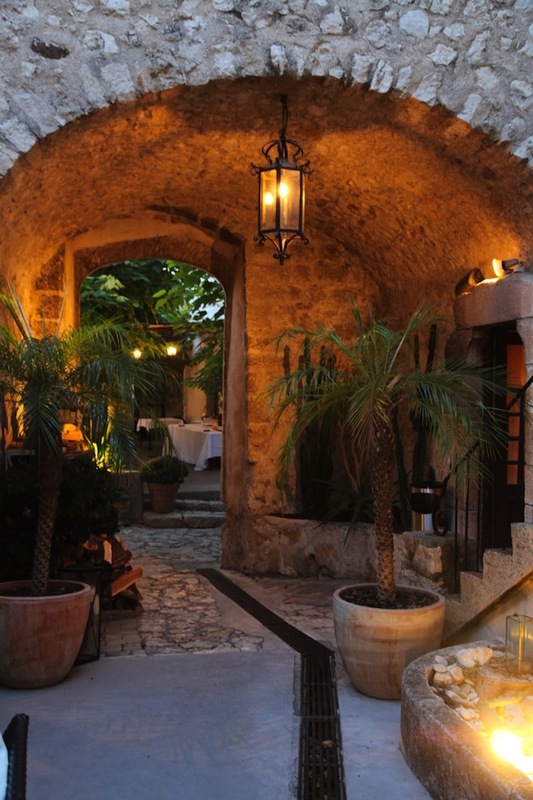 Tucked 15 minutes inland of Nice airport – in the charming small village of La Colle-sur-Loup – is the haven that is Hotel L’Abbaye . A former stone-built monastery dating from the 12th century (with its small chapel still intact) it oozes historical charm, with a quirky edge. Perhaps an echo from its past, the hotel emanates calm and invites you to relax. But it’s not all about quiet contemplation. The hotel welcomes children of all ages – we saw several families with teens, small children and babies soaking up the atmosphere too. We were lucky enough to spend two nights here with our boys in the height of summer. 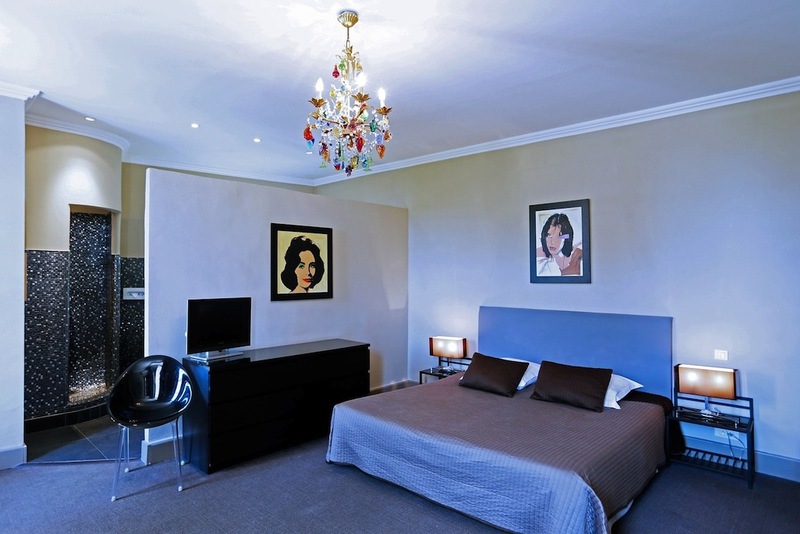 We stayed in a junior suite (which had a large double bed and two smaller beds for the children) and was decorated with a colourful glass-beaded chandelier and Andy Warhol prints of Elizabeth Taylor and Mick Jagger. 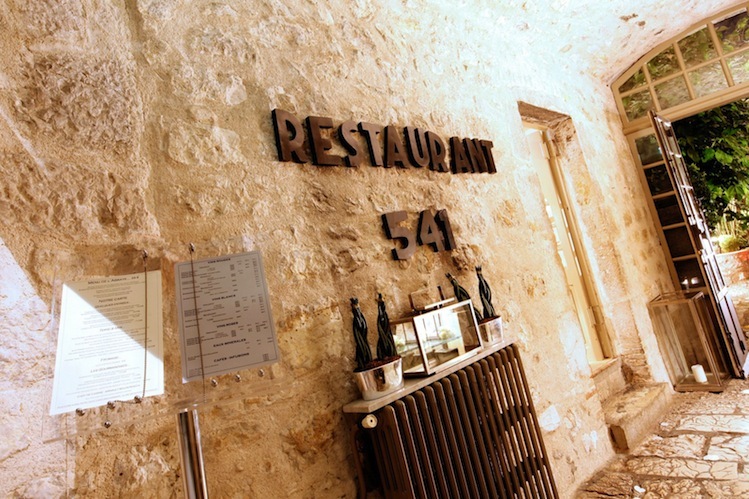 All rooms are air-conditioned (a must in summer) and decorated in muted colours, which adds to the feeling of calm. 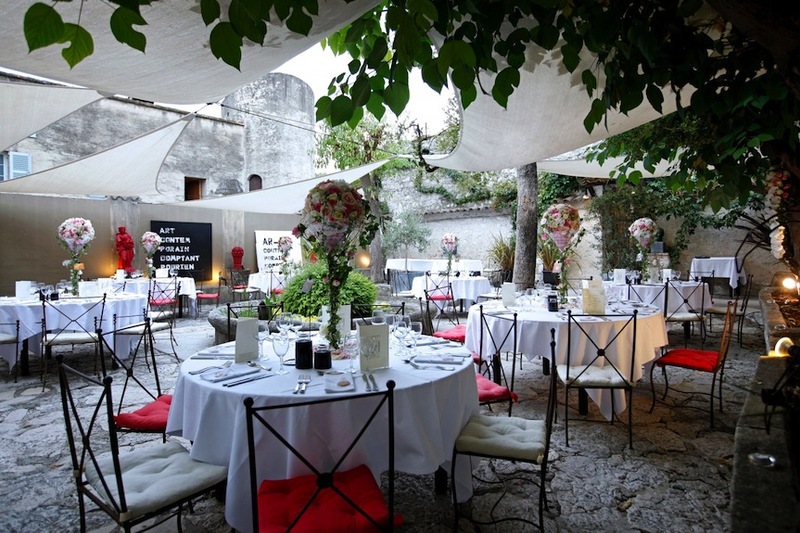 We enjoyed dinner and breakfast alfresco in the hotel restaurant – Le 541- on the cloister terrace, shaded by trees and canopies strewn between them. Dinner might seem a formal affair at first (with white tablecloths and discreet but attentive waiters who will pair your wine perfectly to your meal) but it’s not a stuffy kind of formal. The waiters had a few jokes with our boys and all small children in the dining area received special attention. The food is delicate and delicious (as you’d expect in France) and eating in the warm open air by flickering candlelight was a lovely affair. 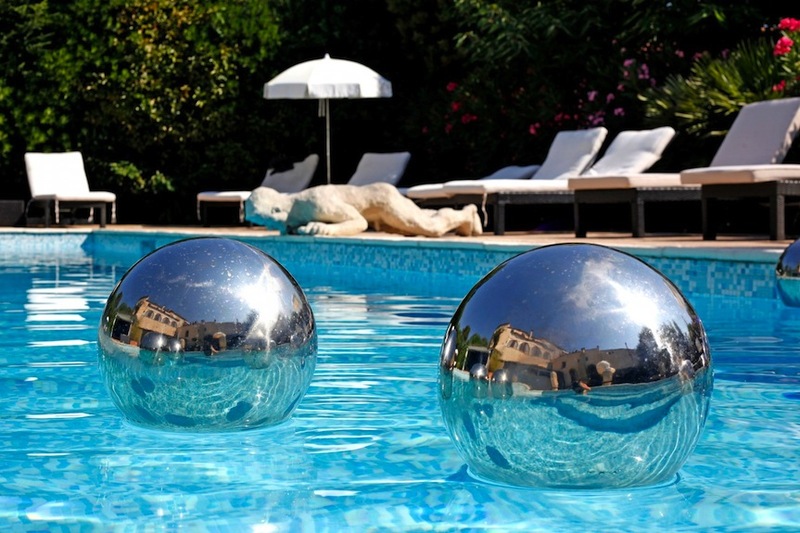 The hotel also has a swimming pool with plenty of sun loungers shaded by umbrellas plus some inflatable toys for the children. There’s also a pool bar for refreshments. The best bit? The pool didn’t appear to have a ‘closing time’ as is the case in so many hotels meaning that, if you’ve spent the day away from the hotel and fancy a dip on your return in the evening, you’re often disappointed with a closed doors policy. Not so here – we enjoyed the pool to ourselves in the evening before showering for dinner. 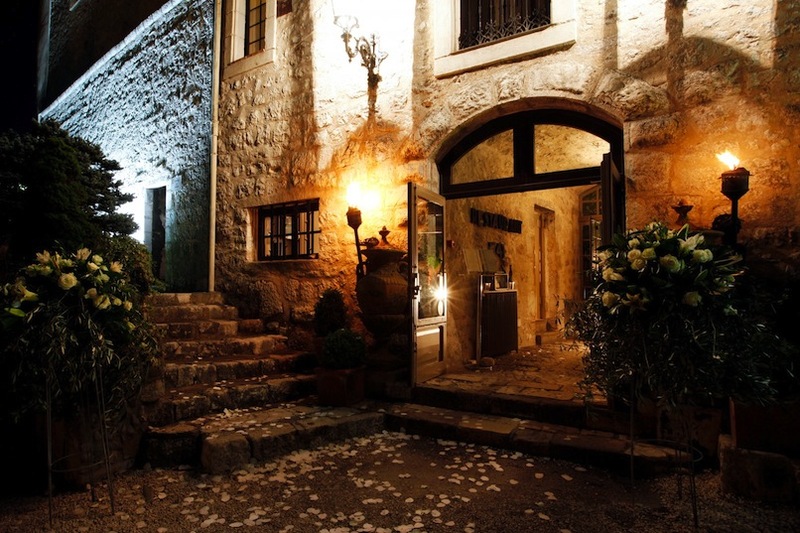 Just a minute’s walk from the hotel and you’re in the centre of the cobbled streets of La Colle-sur-Loup, a small village which still manages to host several great restaurants. 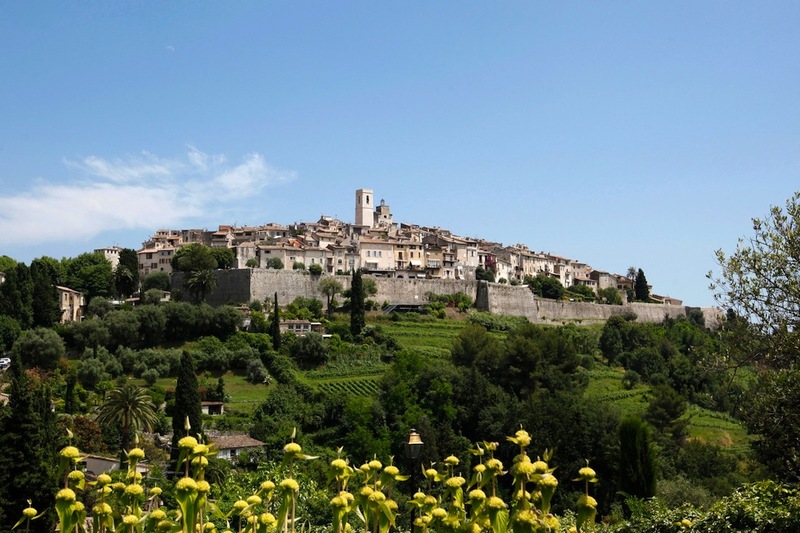 Also nearby are the pretty villages of old Cagnes and Saint Paul de Vence. We were also just a few km from the pebbled beach at Cagnes sur Mer, plus we took a trip to Nice – about a 30-minute drive away – and to Cannes, half an hour in the opposite direction. Though we loved lapping up the glamour of the Côte d’Azur, it was lovely to retreat to the calm of the L’Abbaye at the end of the day. You can pick up from Nice or Marseille airport in the Côte d’Azur and cars cost from €43.50 a day. Look out for their 3 days for the price of 1 offers too. Cars come with a full tank of petrol.